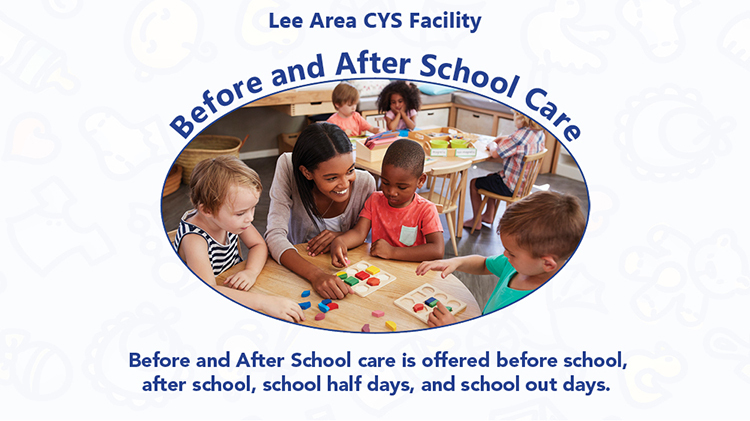 Lee Area CYS Facility Before and After School care is offered before school, after school, school half days, and school out days. Children in grades K-5 registered with CYS Services are eligible for the Before and After School Care Program. Before and After School Program will be closed during Federal Holidays, Training Days & Code Red/Mission Essential time frames. To register for the Before and After School Program, please contact Parent & Outreach Services at 938-0939/4418.